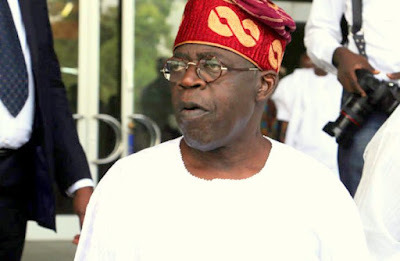 A former governor of Lagos State, Bola Tinubu, on Tuesday congratulated the leader of Oodua Peoples Congress (OPC), Gani Adams, on his appointment as the next Aare Ona Kakanfo of Yorubaland. He said Adams had never left anyone in doubt over his resolve to fight for the interest of Yoruba race. “I congratulate you on your appointment as the next Aare Ona Kakanfo of Yorubaland. With this, you have joined the elite rank of generalissimos in Yorubaland. “You deserve this honour. You have a heart of steel. You have never left anyone in doubt about your resolve and readiness to fight for and defend the interest of Yoruba race.